• Educated people are autonomous and self-directed, but schooling generally involves expert direction of compliant and dependent students. • Empathy, imagination, and creativity characterize fully actualized people, but these qualities seem at odds with mastering received bodies of material. • Societies value testable facts and abilities, but these are of little use, and can even be dangerous, without maturity of character. • Educators rightly value teaching for maturity, but risk in the process indoctrination or natural resistance. • Modeling forthrightness would seem indispensable to character development, but some of the most effective teachers induce learning by good-natured trickery. These are genuine paradoxes, in that even when we work out credible resolutions for them they tend not stay solved. Their tensions continue to bedevil us in each new class, with each new student, and at each phase of learning. 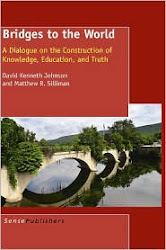 The insights and conclusions of this conversation are neither inflexible doctrines nor a compendium of abstract disputes unrelated to actual teaching practices. Rather, the reader at once witnesses and participates in the philosophy of education as a vital process, experiencing the kind of passionate and imaginative conversations that good teachers often have, and from which they learn to understand and engage the elusive art of teaching. Jules: Well, my initial intuition is that paternalism has no place in higher education. Students are not our children, and we are not their parents. Alison: We need not limit ourselves to the literal interpretation of the word. I think it’s more about acting on behalf of others with or without their consent. Isn’t that how philosophers use the term Russell? Russell: Consent is key. Justifiable acts of paternalism set out to advance the interests of persons who would not otherwise effectively pursue those interests – or even recognize what they are – without outside help. If I consent to your direction, then we’re only talking about “self-paternalism,” which is even easier to justify. We do this all the time when we participate in framing laws that will constrain our future options. Jules: But at the expense of the liberty of those others, at least in the short run. Jules: So despite their good intentions, paternalists always do wrong. Jules: Can coercion ever really be justified? We’re not talking about infants or young children. However immature they may seem at times, students in college classrooms are legal adults. The longer we treat them otherwise, the harder it will be for them to grow up and take charge of their lives. In fact, I pursued an advanced degree precisely so that I could teach adults, rather than children. Alison: It’s hard to argue with your point as an ideal principle, especially at the college level. But judging by what he said before, Russell seems to think it’s unrealistic in practice, and I don’t know yet what I think. Russell: Like it or not – and it’s pretty clear we don’t -- most of our students are not equipped to make many of the most important choices about their learning or their lives. They need guidance, and considerable nudging. Jules: “Nudging” is just another name for coercion. Russell: Call it what you like, we all do it. I take it, Jules, that you assign specific readings, give detailed instructions for the various writing exercises your students must complete, and require that they do these things as a condition of completing your courses? Jules: Of course I do! But this is an instance of what you call “self-paternalism.” Students elect to take my courses, just as they elect to go to college in the first place. Since I make my expectations clear from the beginning, along with the consequences of ignoring them, I do not thereby patronize, but rather show respect for students. Alison: What sort of thing would you consider errantly paternalistic, then? Jules: Well, for one thing, I never call on my students unless they indicate their willingness to contribute to the discussion. Alison: But you make participation an explicit expectation of the course? Russell: How well does that work for you, generally speaking? If your classes are like mine, there is a very wide range of preparedness to contribute freely to class discussions. Those who jump right in get lots of practice, while those who are less sure of themselves, or not as quick on the draw, lose out unless I actively encourage them to speak their minds from time to time. Jules: By ‘actively encourage’ I suppose you mean that you call on them. Jules: Surely there’s some way to encourage the more reticent students to join in without such autocratic tactics? Alison: Carefully designed small-group work, peer-editing, and collaborative exam-drafting, can sometimes embolden the quieter student to start speaking up in the larger discussion as well. Jules: That’s exactly the kind of thinking I’m looking for. I’m always happy to structure the class in ways that encourage involvement. But, on principle, I’m not comfortable asking students to speak who don’t volunteer to do so. Calling on nonparticipating students simply infantilizes them. Adults, especially freshly minted ones, are entitled to make their own choices about when and how to engage in a conversation. Jules: Dozens of them. We certainly agree that self-justifying passivity is both common and lamentable. But what are we to do about it? Russell: As I’ve said, we simply have to push them through it. I have yet to find an effective alternative. 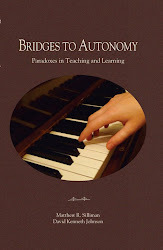 Alison: Many students have spent their lives attempting, usually with very limited success, to learn passively. I confess that, like Russell, I sometimes draw them out by asking their opinions directly, and I can get very thoughtful contributions in response. Jules: Sometimes, though surely not always. Alison: Probably more often I fail, to be honest. But we have to keep trying. Jules: Of course, but you and Russell seem willing to risk a high degree of embarrassment, and other sorts of distress, among these self-described shy students, for the relatively rare instances where it succeeds in drawing them out. And even when it works, have you really shown them that they can contribute fruitfully, or merely reinforced their expectation that they can wait until called upon? Alison: That depends in part on the particular students, and whether my manner of drawing them out generates a sense of empowerment or its opposite. It also depends on how frequently I call on them, and whether I manage to convey that my doing so is transitional rather than a normal pattern. Like you, my desire and aim is that they come to need less prodding. Jules: Do you indicate this by saying so, and discussing your pedagogical goals with them? Alison: That is part of my procedure, yes, and I consider it very important. I always try to explain to students the pedagogical reasons for every element of the course design and procedure. Russell: I’m guessing that this particular point is not one most of them are especially well equipped to absorb. Alison: Once again, if I’m being honest, I would concede that in general you’re right. Jules: So you’re not claiming to be uniquely successful at drawing the students out with your paternalistic procedure, even when you explain your methods to them? Alison: Well, no. But here’s another strategy. My students write and evaluate discussion questions in preparation for every reading, and I often go around the room and ask them all to read their questions to the class. This seems to me no more paternalistic than giving the assignment in the first place, and it neatly gets a range of issues on the table so I can guide the conversation where I think it needs to go – or focus on questions from those students I most want to draw in. Jules: I’m much less uncomfortable with a procedure of this sort than I am with calling on students cold. Russell: What do you mean, “cold?” As you say, they signed up for the course, and they have chosen to be students. Just as carpenters don’t show up for work without their tools, students should be prepared to engage the material. Alison: Russell has a point, Jules. By my own admission I am calling on all students, and to some extent manipulating the conversation to get them involved. I will ask a student to explain his or her question, for example, or invite other students to introduce related textual passages or ideas. Since I often use this to draw out the quieter types, I don’t really see how this is any less paternalistic than what Russell suggests. Yet I also don’t see that there is anything wrong with it. Jules: In this procedure, at least, the focus is directly on the subject-matter, and the question is one the student has presumably spent some little time preparing, so the assault on the student’s autonomy seems a little less acute. Russell: Psychologically that may be true, and I can see that for just this reason it may be a more effective strategy, but I don’t see at all how it is less directive. It’s just a kinder and gentler way of being directive, so on principle I would expect you to reject it, Jules, for the same reason you decline to call on students. Jules: Well, I can see that it’s a little manipulative. Wouldn’t you both think it better to have students who were active, curious, engaged, and at the same time sensitive to each other, so that the conversation would flow without such machinations on the part of the instructor? Paradoxes lie at the heart of teaching. For example, how can we help students learn to think for themselves… by telling them what to do? It’s our job to be sure they learn, but the more directive we are, the more we risk compromising our main goal: to empower our students to think for themselves and choose their own lives. This paradox becomes acute in college, with students on the cusp of adulthood. Professors mainly want to share their passion for scholarship, but most college students need pressure – grades, deadlines, exams – to keep them learning, so our role can become dictatorial and demanding. Then again, knowing our students need nurture and support makes us want to be generous and understanding. These competing impulses can feel like pedagogical whiplash. Paradoxes aren’t just puzzles to solve; they’re labyrinths we negotiate, tensions we live with. As teachers walking this maze, we might ask ourselves: Does our directiveness tend merely to reinforce itself, or can it gradually undermine the need for direction by inspiring fascination for the topic? Directive bullying creates fear and dependency, rarely fostering deep or lasting comprehension. A spark of curiosity and the right kind of challenge, on the other hand, lights fires that burn by themselves. So the best teachers find ways to edge students away from needing or expecting too much guidance – just as good parents give children clear rules, but leave plenty of space for autonomy to grow. Perhaps teachers can stay ahead of paradox by keeping this principle in mind: Authority is not a weapon; be sure to make it a creative means of aiming students toward their own discoveries.